Sometimes a nap is just what you need to reset your mind and gain much-needed energy. In fact, a good nap can grant you higher alertness, a better mood, and increased performance in your job and studies. Here are three ways to make napping work for you. Did you ever have a nap that left you feeling groggy? This is because you probably woke up during deep sleep, which causes a fatigue called “sleep inertia,” The typical human sleep cycle is 90 minutes, comprised of both light and deep sleep. Napping for less than half an hour keeps you in light sleep so that waking up from the nap is easy. The ideal length of a nap is just 20 minutes. This duration grants you all the benefits without sending you into deep sleep so that you wake up feeling refreshed. How do you make sure you wake up from your nap during light sleep? Sleep apps that track your sleep’s depth can be set to wake you when you’re at the lightest stage of sleep. For example, if you lay down at 3:00 pm, set your alarm between 3:35 and 3:45. Considering it takes about 10-20 minutes to fall asleep, this gives you enough time to get a decent power nap. If you can get a luxurious 90-minute cycle in, then set your alarm between 4:40-4:50. Your app will wake you during the time you’ll be the least groggy. Stress can play a large role in your sleep quality. Managing stress is crucial to developing good sleeping habits. Constant responsibilities and worries about your day job can keep your head spinning with a never-ending to-do list that won’t stop even when you try to rest. Consider making a list of all the unfinished tasks hanging over your head and setting it aside for later. Perhaps the TV is always on in your house or you live with noisy people. Making a distraction-free oasis for your nap will help you relax and fall asleep more quickly. Turn off the TV. Ask your housemates to be courteous. You can also run white noise from a box fan or a phone app to cancel out the racket your family or neighbors are making. Do whatever you need to carve out a space that is optimal for rest. It’s just common sense that sleeping on a bad mattress isn’t going to help your naps. 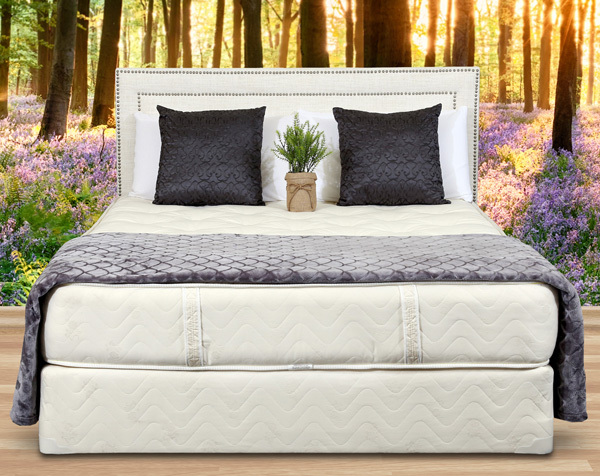 If your current mattress is sloping, caved in, or has springs that jut out and hurt your side, you know it’s time to upgrade your sleeping arrangement. At Gardner Mattress, we’ve been making quality traditional and organic mattresses by hand since 1933. We know what makes a comfortable mattress and how much a difference it makes in your sleep quality. If you have any questions about which of our mattresses would be best for you, contact us today to learn more about how a quality mattress can help you get the best sleep of your life. Previous article	Can’t Sleep? Consider These 3 Natural Sleep Remedies! Next article	Are Your Back Problems Being Caused by a Bad Mattress?